The road for the most awaited domestic sports event has finally begun as the auction for VIVO Pro Kabaddi League (PKL), 2019 will take place on the 8th and 9th of April. Kabaddi stars Rahul Chaudhari, Rishank Devadiga and Abozar Mohajermighani will be up for grab. VIVO Pro Kabaddi Season 7: 29 Players Retained in Elite Players Category, Auction to Be Held in April. The VIVO Pro Kabaddi Season VII will have 12 franchises, who will battle in the auction to some of the best kabaddi talents. 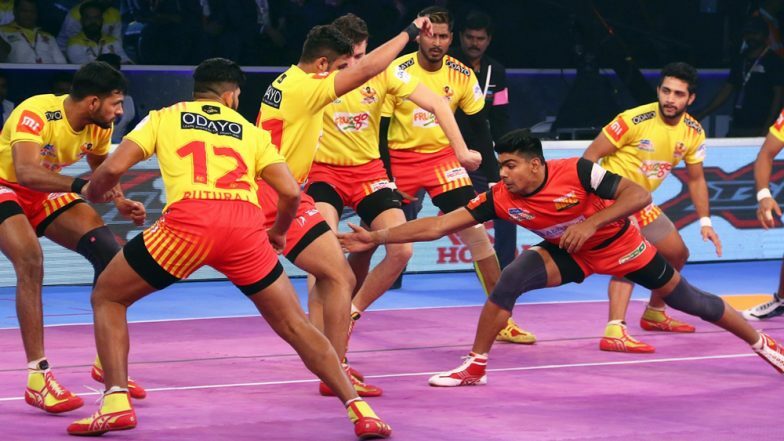 In the next two days, 441 players will go under the hammer, including the likes of 'Raid Machine' Rahul Chaudhari, PKL's most expensive player Monu Goyat, and last year's star debutant Siddharth Desai. The action in the auction room is expected to be as thrilling as the one which takes place between the teams on the mat. The limit for each team has been raised to 4.4 crores and each franchise will be expected to sign a minimum of 18 players and a maximum of 25 to their roster. There will also be the option of ‘Elite Retained Players’, which will give the team the facility to retain their four top performing players. Each team must compulsorily include a minimum of two foreign players in their side and a maximum of four in their roster. The PKL auction will also have ‘Future Kabaddi Heroes’ graduates, who will enter the pool under the ‘New Young Players’ category. Franchises can select a maximum of 6 players from this group. The upcoming campaign will be very thrilling as the teams will leave no stone unturned to buy the best player for their side. The auction will be shown live in India on April 8, 2019, at 4:30 pm on Star Sports.